Georgia’s pay-only system funded government at the expense of the poor. The Elbert P. Tuttle U.S. Courthouse, in Atlanta. Over the past two decades, the probation industry has been booming in Georgia. Private companies take over supervising people sentenced to probation for misdemeanors or violating city ordinances like “burning trash without a permit.” In exchange for collecting court fines, the probation companies are allowed to extract monthly “supervision fees” from probationers. Nearly 600 courts statewide have adopted this “offender-funded” model, which saves courts from having to hire their own probation officers. In 2016, probation providers collected at least $87 million in fines for local governments and pocketed an estimated $34 million in supervision fees. For-profit probation companies have long portrayed themselves as cost-effective providers of a public service. But emails obtained via Georgia’s Open Records Act show the business model works by preying on low-income people. These emails, sent by executives of Sentinel Offender Services—Georgia’s oldest and most notorious private probation company—mirror what my colleagues and I at the Southern Center for Human Rights have long seen firsthand. The offender-funded scheme generates tremendous revenue because Georgia law creates so many offenders. The state has criminalized traffic violations and other minor offenses that most states treat as civil infractions. This means someone stopped for a broken tail light, changing lanes without using a turn signal, or playing her car stereo too loudly can be sentenced to a year in jail. Most offenses carry fines of up to $1,000, plus hundreds more in surcharges. People who can’t pay immediately get sentenced to “pay-only” probation: They can pay over time, but the extra supervision fees can double their debts. As a result, Georgia has more than 150,000 people on misdemeanor probation at any given time, too many of whom are being monitored by the state for no legitimate public-safety reason. While probation is used as a payment plan, it’s still part of a criminal sentence. That means people can be sent to jail if they fail to pay or report to private probation officers, who have the authority to petition for “revocation” of probation. This almost happened to one of my clients, a 61-year-old woman who is disabled by physical and mental health conditions. She was put on probation for shoplifting $7 worth of food and two pairs of underwear from a Walmart. After being convicted in a municipal court without access to counsel, she received a sentence that left her with a total debt of $1,611. We defended this woman—who uses a wheelchair—when the private supervision company moved to revoke probation because she failed to report to the company’s offices (which were located two miles from the nearest bus line), and failed to pay fines due to her limited income (which consists entirely of $733 in monthly disability benefits). Through this case, we can see how criminal fines get sliced up among private probation companies, local governments, and the state. Of her $1,611 debt, the probation company’s share was $517. (That includes 12 months of supervision fees at $35 per month, $95 for a mandatory “anti-theft class” offered by the company, and a $2 “digital photo fee.”) The State of Georgia gets $280.16 for programs like the “Peace Officers Annuity and Benefit Fund” and the “Crime Victim’s Emergency Fund.” The lion’s share—$773.62—belongs to the local government that operates the court, in this case Duluth, Georgia, a city of 30,000 people that raised more than $3,300,000 from fines and fees in 2015. A portion of that haul pays the court’s expenses and the salaries of its judge, clerks, and staff. (The court does not have a public defender; as in many such courts, indigent people facing charges end up signing waivers of the right to counsel.) The rest of the money is transferred to the city’s general fund. Altogether, fines and fees accounted for about 20 percent of the city’s revenue. Georgia is not the only place where governments use criminal fines to fund their operations. But no other state has been so aggressive in enlisting private companies to extract all this money. Sentinel Offender Services has claimed that private companies collect 25 percent more fines than government probation offices, probably thanks to innovations like its “March Madness” bonus program, which offered cash prizes and a free vacation to the probation officers with the highest collections. Georgia’s private probation system has been under heavy scrutiny for years. There have been frequent news stories about people—primarily people of color, who are more heavily policed and have less wealth and lower incomes to draw on—saddled with debts who were sent to jail if they could not pay. There have also been lawsuits, including several filed by my colleagues at SCHR. Finally, in 2015, the state legislature took action, passing a bill called HB 310. Among other reforms, it required that courts consider a person’s ability to pay before sending him to jail for unpaid fines—a step already required by the U.S. Constitution but often ignored in practice. One of the biggest changes was a new rule on “pay-only” cases: After July 1, 2015, companies were allowed to extract no more than three months of supervision fees from people sentenced to probation simply due to their inability to pay up front. In response, Sentinel’s executives proposed “a new, mutually beneficial supervision model,” where the court would pay Sentinel a flat fee for each probationer, thus shifting millions of dollars in costs to the city each year. 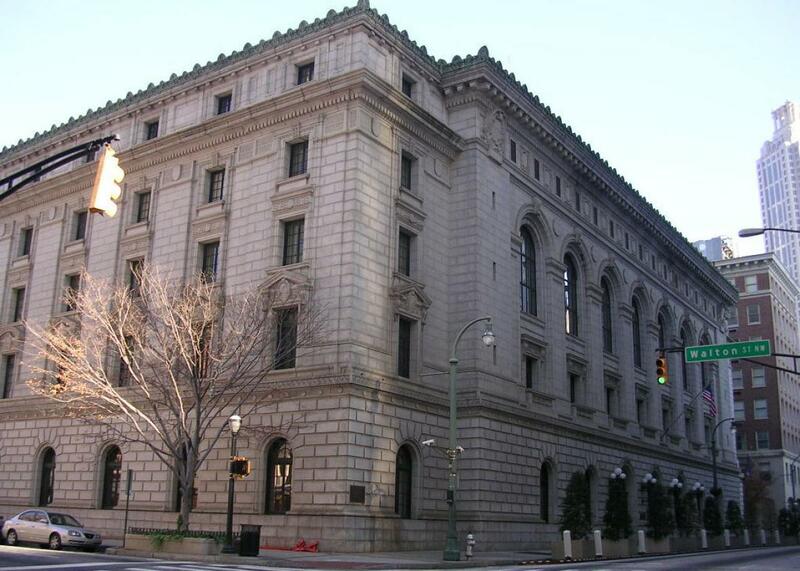 Sentinel suggested that Atlanta “may desire to charge the participant a higher monthly fee,” which would defray the expense of what was essentially a government bailout of Sentinel’s business. Sentinel is gone, but the private probation system isn’t. While on probation in Georgia, people can be—and are—jailed for failure to pay or report. And even with the new three-month limit in “pay-only” cases, low-income people still get slapped with fees that wealthy people needn’t pay. Even if Georgia ends private probation tomorrow, actors at every level of the system—judges, prosecutors, and state and local politicians—will have to break the habit of using criminal enforcement power to raise money. In a 2016 annual report, judges at one level of the state judiciary bragged that they “represent only 10 percent of [Georgia’s] Trial Courts and Judges, but bring in 37 percent of Total Revenues!” But we should all recognize that it is unjust to use our courts to fund public services. If these programs are worthwhile, they should be funded through tax dollars, not through fines that operate as a regressive tax on those who can least afford it.